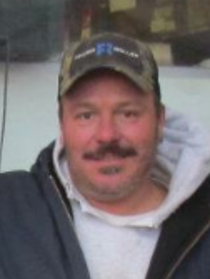 Jerry Lee Leibolt age 50, of Polk, passed away early Wednesday, December 20, 2017 at his residence. He was born June 2, 1967 in Ashland, the son of Jerry Leibolt and Connie (Finley) Leiter. Mr. Leibolt had been a resident of Ashland County all of his life. He received his diploma from Hillsdale High School in 1985. He worked in Maintenance for over 25 years, most recently with Schaeffler/ Luk Technologies in Wooster and previously had been employed with Cooper Enterprise, Hedstrom, Leibolt Lettering, Bosch Braking and PAR Industries. He was a former Volunteer with the Nankin Fire Department. Mr. Leibolt enjoyed fishing, riding motorcycles, and cooking. He loved to have a good time joking around with his friends and having a couple Busch Lite beers. He especially enjoyed spending time with his family. Jerry also enjoyed being Santa for the holidays riding his Harley around town delivering candy. Survivors include his son, Jonathon Leibolt of Mifflin; his daughter, Alyssa Leibolt of Ashland; his father and stepmother, Jerry and Becky Leibolt of Polk; his mother and stepfather, Connie and Douglas Leiter of Ashland; his brother, Michael (Rachel) Leibolt of Polk; along with his sister, Kim (Keith) Barr of Jeromesville. He was preceded in death by his grandparents, John and Wilma Leibolt. Saturday, December 23, 2017 there will be a time of gathering for friends and family at Heyl Funeral Home from 4:00 to 6:00 P.M. Immediately following the visitation there will be a Celebration of Jerry’s life at the Ashland Moose Lodge There will be no funeral service.